Windows XP will always have a special place in my heart—it's the operating system I grew up on. It guided me through the glory days of AIM, Napster, and MySpace, but now it's dead. The OS that had been supported by Microsoft for twelve years officially lost its support on April 8th, 2014. Just like that, Microsoft has killed the beast, but for those of you who stubbornly refuse to cooperate, you can resurrect the dead. 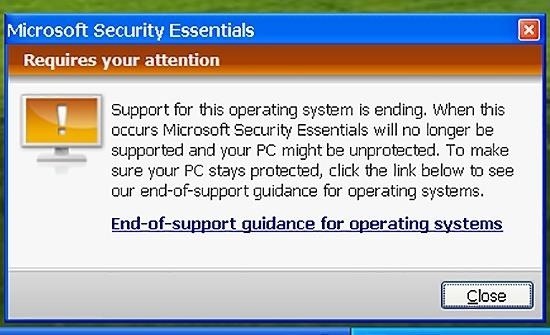 If you have Windows XP, this little known hack will get you further support for another 5 years. Microsoft didn't end support for all of its older operating systems on April 8th. Extended support for Microsoft's "Windows Embedded POSReady 2009" continues until April 2019. Embedded POSReady 2009 was created to support cash registers, ATMs, self-service checkouts, and other industrial devices, and we're going to use its update system as life support for our dying XP machines. Of course, you could always just go on using Windows XP without this hack, but be aware that you'll no longer be protected against malware and you're five times more vulnerable to security risks and viruses. Use this hack at your own risk. These POSReady updates are not meant for a regular XP system, and could cause damage. Always research what the updates are before installing them. To initiate the hack, open a new text file with Notepad and save it with a .reg extension. Take note, the file extension must be .reg, not ".reg.txt". To prevent notepad from adding ".txt" to the end of your file name, put double quotes around the file name (including the .reg extension) when you save it. Alternatively, you can right-click anywhere on your Desktop, scroll to "New", and create a new "Text document". Name it, make sure .reg is the extension, then hit enter. Now right-click on the file and select "Edit". If you don't feel like doing the work, you can grab a ready-to-go file from here (it's named "WinSupport.reg"). To complete the hack, you'll need to save the file and double-click on it in Windows Explorer. This will officially add the hack to your registry. 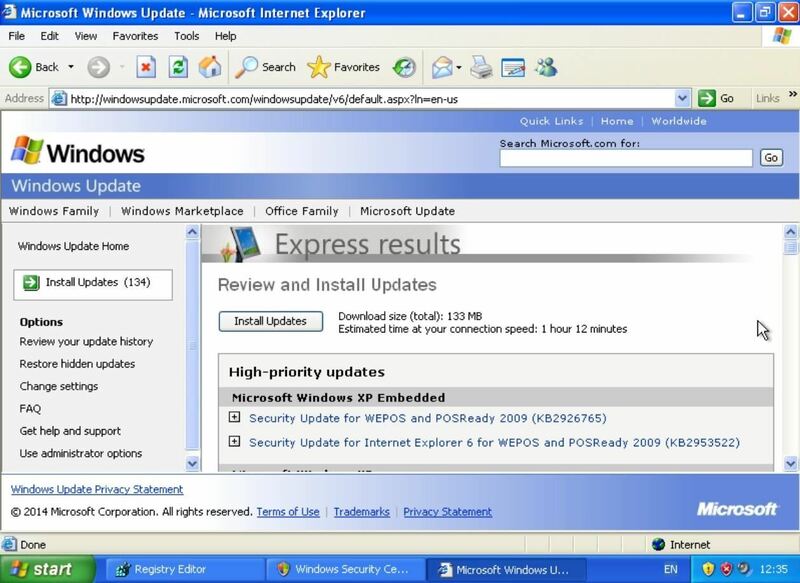 Now every time you run Windows Update, you'll see a number of new updates for POSReady 2009. Of course, some of these updates won't apply to you, but a lot of them will. Unfortunately, the hack above only works on 32-bit systems. However, there is a workaround to get this running on a 64-bit system that involves manually downloading the files from Microsoft and hacking them so that Windows XP doesn't block the update. You can get more info on how to do this from Sebijk. That said, very very few systems run the 64-bit version of XP, so chances are you won't have to worry about it. "Windows XP customers also run a significant risk of functionality issues with their machines if they install these updates, as they are not tested against Windows XP. The best way for Windows XP customers to protect their systems is to upgrade to a more modern operating system, like Windows 7 or Windows 8.1." So, just know what you're getting into before you dive in.